Publisher: . 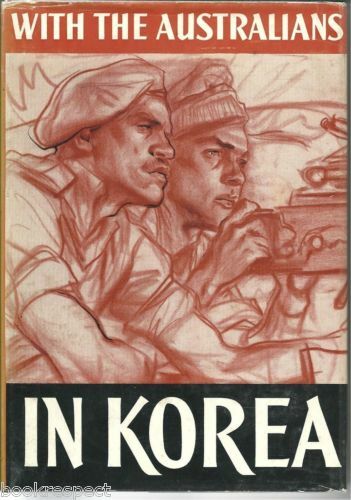 Australian War Memorial, Canberra ACT, 1957, 2nd edition, 294pp., hardcover quarto with dj, 12 chapters, first-hand reports, colour frontisp. plate, b/w photos. Condition:Crisp green cloth-bound hardcover with gilt title to spine, STRAIGHT, TIGHT and CLEAN in GOOD CONDITION with no inscriptions, in a scarce, intact, unclipped, GOOD DUSTJACKET with minimal rubbing which has been protected in clear, non-adhesive plastic. Condition:Crisp blue cloth-bound hardcover with bright silver title to spine, STRAIGHT, TIGHT and CLEAN in VERY GOOD CONDITION with no inscriptions, in an unclipped,GOOD DUSTJACKET with minor rubbing. Description: At The FrontLine draws on a plethora of letters, diaries and documents written by over 300 Australian soldiers in the field to present a picture of the hardships and triumphs of their wartime experience. Publisher: The Hawthorn Press, Melbourne, 1973, FIRST EDITION, 254pp., hardcover 8vo with dj, 9 chapters, appendix, glossary, bibliog., Index. Condition:Crisp green cloth-bound hardcover with bright title to spine, STRAIGHT, TIGHT and CLEAN in VERY GOOD CONDITION with no inscriptions, in a clipped GOOD DUSTJACKET with mild rubbing. Description: The relationship between ministers & their advisers in the formulation & execution of policy. 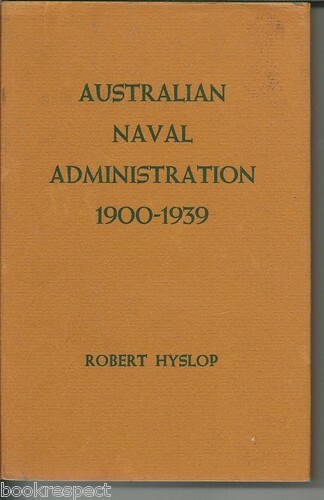 All aspects covered including relations with the Board of Admiralty. Taken from Papers & Departmental Records. From Federation to WWII's outbreak. Condition:Crisp blue cloth-bound hardcover with bright gilt title to spine, minimal edgewear, STRAIGHT, CLEAN & TIGHT in GOOD CONDITION, the previous owner's lovely bookplate to fr.paste-down, in an unclipped GOOD DUSTJACKET with minimal edgewear in clear plastic. 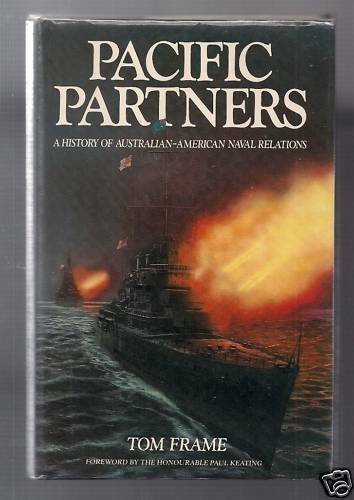 Description: Surveys Australian-American contact in the late eighteenth, the nineteenth and the early twentieth centuries before examining the shared experiences of World War II. From Pearl Harbour to VJ Day the two nations' destinies were inextricably intertwined. Condition:Olive cloth-bound hardcover with bright gilt title to spine, STRAIGHT, TIGHT and CLEAN in GOOD CONDITION with no inscriptions, in an unclipped,GOOD DUSTJACKET with minor rubbing. Description: Written as fiction, with ficticious characters. 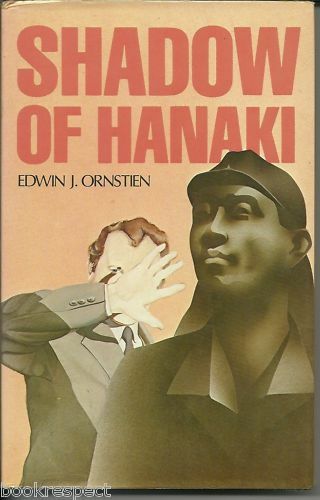 However, written by Edwin Ornstien, who was imprisoned by the Japanese for 3 1/2 years about an insignificant incident during the construction of the Burma - Thailand Railway of Death & retribution. Publisher: Australasian Book Society, Sydney, 1974. Hardback with dj. 1st Edition. Octavo Size. 400 pages, 3 parts, appendix, pastiche of press cuttings. 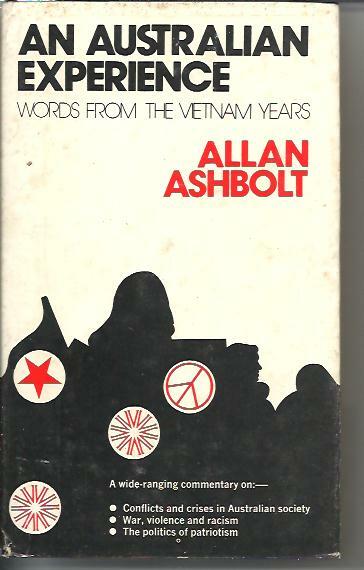 Description: Ashbolt's 'experience' took place in the 1960s and '70s when , as an ABC senior executive and program producer, he was also a leading activist in the anti-war movement and outspoken critic of Australian govenrment policy. Author: Barney Roberts with Illistrations by Adrian Young. Maps. (illustrator). Foreword by Manning Clark. 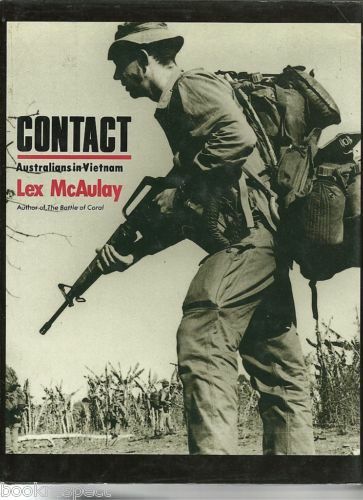 Publisher: Australian War Memorial, Canberra, Hard Cover. 1985. 189 pp, tinted end-papers, b&w photographic and line illustrations, detailed text, poems. Condition:Crisp brown cloth-bound hardcover with bright title to spine, STRAIGHT, CLEAN & TIGHT in VERY GOOD CONDITION in an unclipped VERY GOOD DUSTJACKET with minor rubbing. No inscriptions or names. 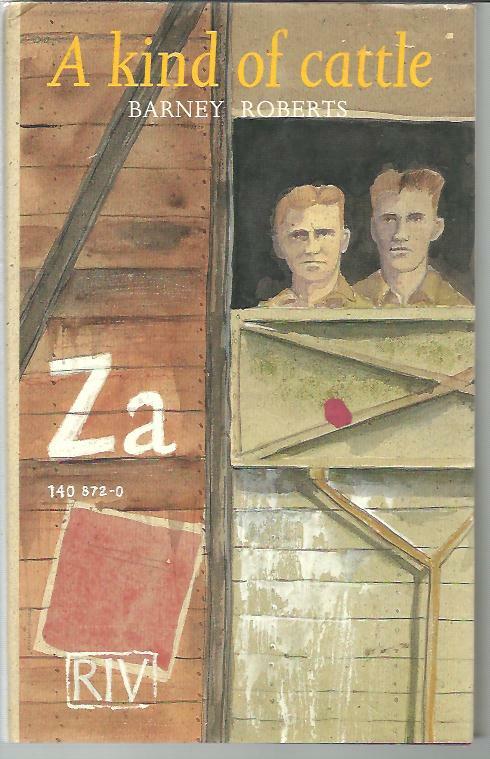 Description: Tasmanian born Roberts was taken prisoner in Greece, transported to Yugoslavia, was imprisoned at the Marburg Camp later working as a farm labourer in Austria One of the few accounts of life as a POW by an Australian in WW2.